Due to the General Data Protection Regulation (GDPR), Google has decided to provide its customers with controls to select which ad technology providers are allowed to serve and measure ads in the European Economic Area (EEA), to support ad delivery, ad measurement, and other functions. Swaven is proud to be part of the Google certified companies. To help understand what this certification means for brands, we asked Laurent Quatrefages, Swaven’s co-founder & CEO. WHY DO BRANDS AND THEIR AGENCIES NEED TO KNOW ABOUT GOOGLE CERTIFICATION? Laurent: Google certification has been given to ad technology providers that comply with GDPR as well as Google’s data usage policy. In order to be able to run advertisement campaigns via Google, brands and agencies need to use technology partners that are compliant with the new rules. Google has made it easier for their publishers to select providers that have already taken the necessary measures and are therefore ready to serve their technology. HOW CAN I KNOW IF MY AD TECHNOLOGY PROVIDERS ARE CERTIFIED? Laurent: Google has made this very easy by providing a list of the certified companies. According to Google, you can also view the list in your DFP, AdSense, or AdMob account if you have one. HOW DOES THE CERTIFICATION APPLY TO SHOPPABLE SERVICES? Laurent: As a Google certified ad technology provider, Swaven’s multi-distributor POP (Point Of Purchase) solutions can be integrated with brands’ advertisements to help brands boost their sales online and offline around the world. We also have the certified tools to measure the advertising performance and the business impact of shoppable contents powered by our solutions. For Swaven it was crucial to be part of the certified programme from the start in order to serve our current and future customers efficiently and according to the new regulations of Google and GDPR. WHAT HAPPENS IF MY PROVIDERS ARE NOT COMPLIANT? Laurent: If your providers are not certified, the risk is that your campaigns on Google get blocked in the European Economic Area until the necessary controls are done. As a brand or an agency, you need to make sure your service providers also comply with the GDPR. 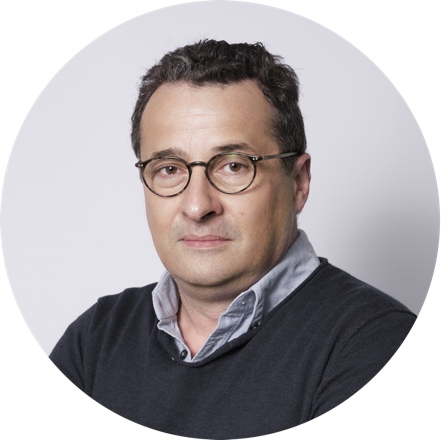 Laurent: At Swaven, we are very happy to help you with any questions related to shoppable services and advertising technology. Don’t hesitate to get in touch!